Log in to the website to see tools and other content created for staff use. If you have forgotten how to log in, see the instructions here. 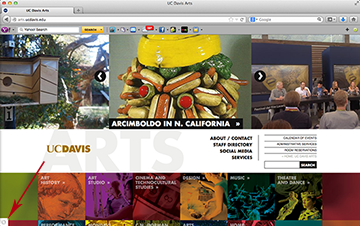 For all other help, please email artswebhelp@ucdavis.edu. Here are some tips to keep the files and archives organized in our secure storage area. When storing older files and records, label and place them according to these guidelines. If you have any questions, please check with Kim Pearson.